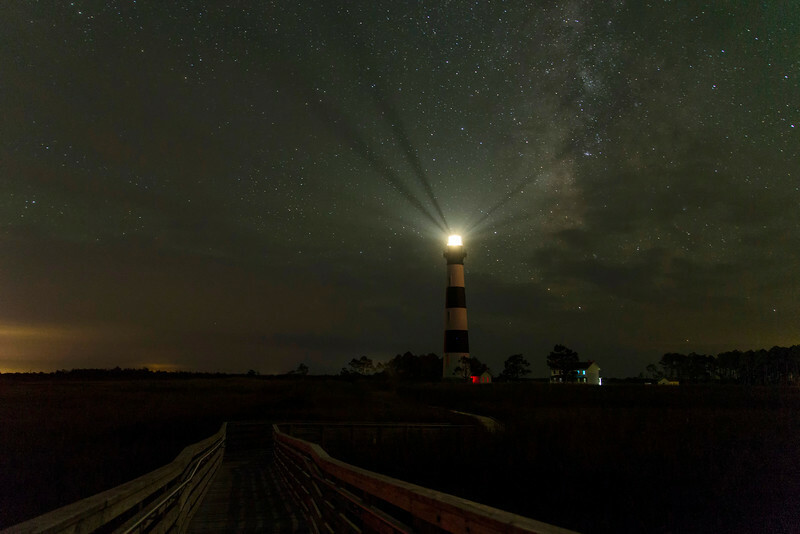 A night shot of Bodie lighthouse under the stars, Bodie, North Carolina. 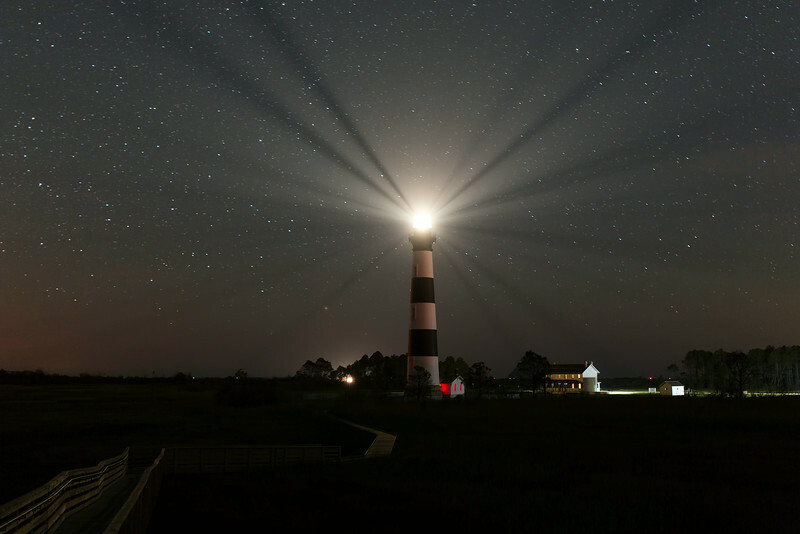 Bodie Lighthouse under the stars, Bodie, North Carolina. 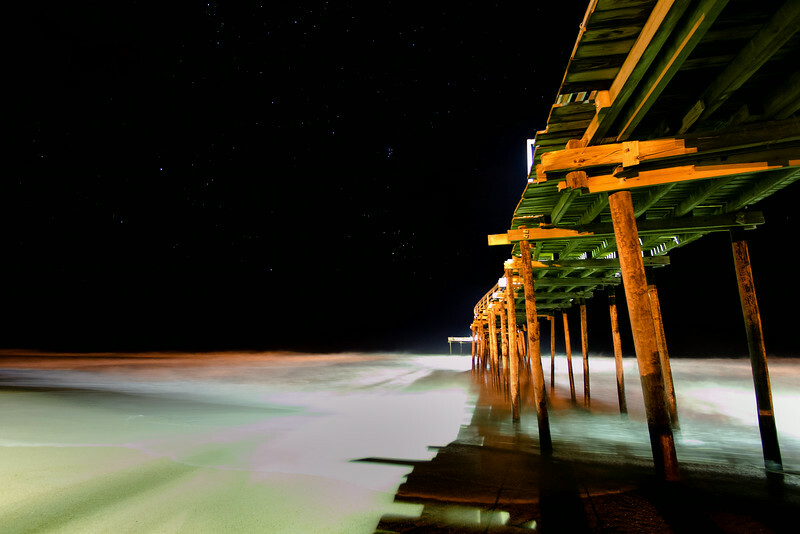 Avon pier under the stars, Avon, North Carolina. 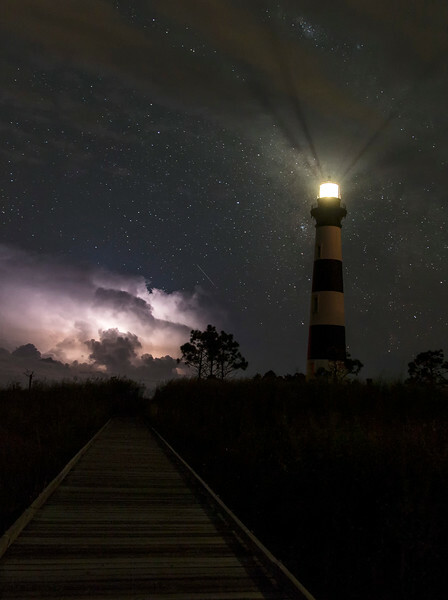 Avon pier under the night sky, along the Outer Banks of North Carolina. 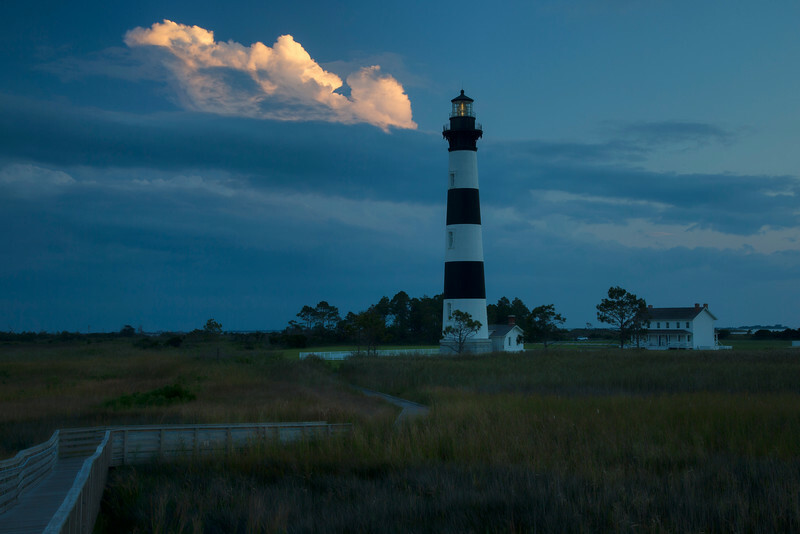 One white cloud lights up at sunset at Bodie Lighthouse off the coast of North Carolina. 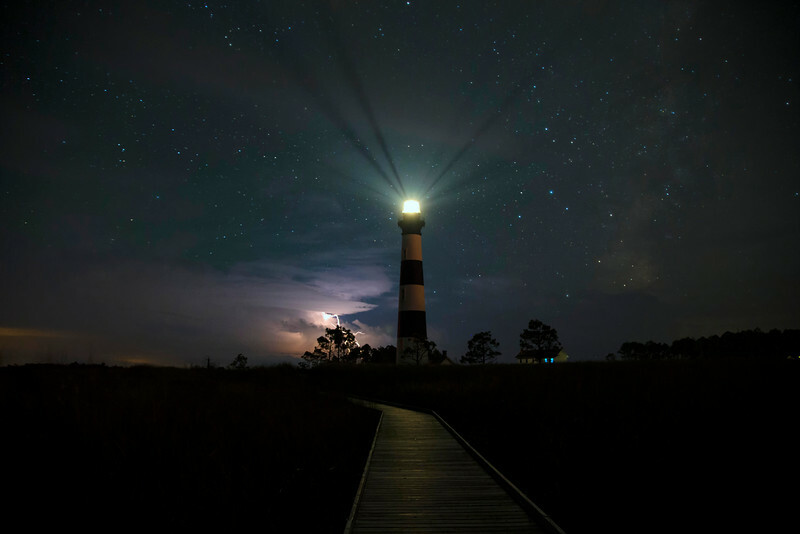 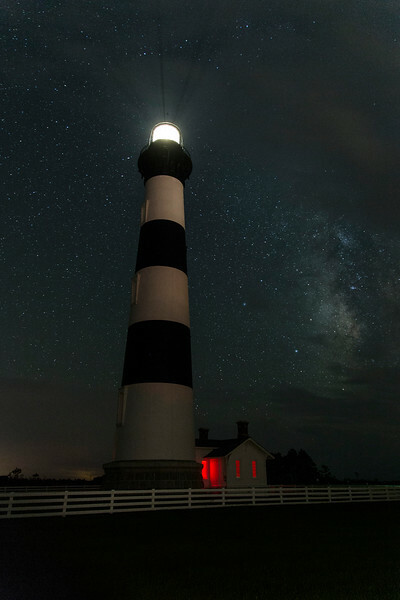 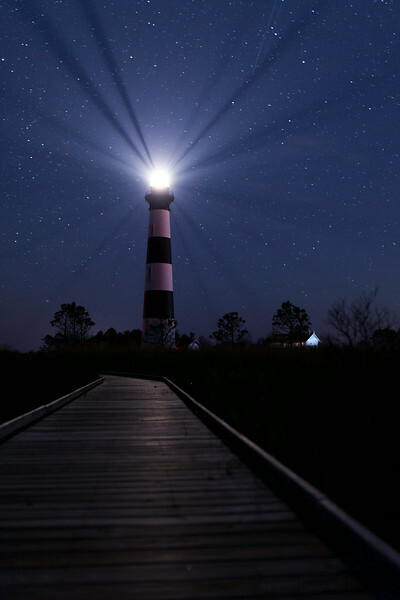 Bodie Lighthouse off the coast of North Carolina, under the night stars. 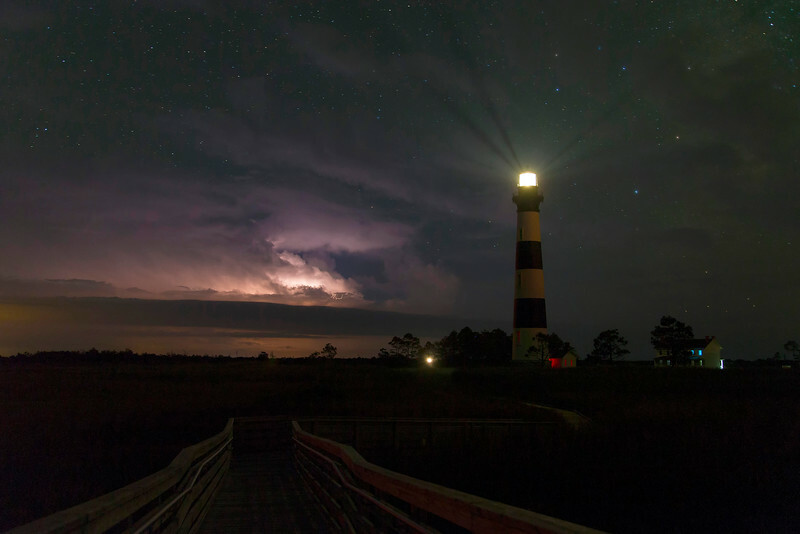 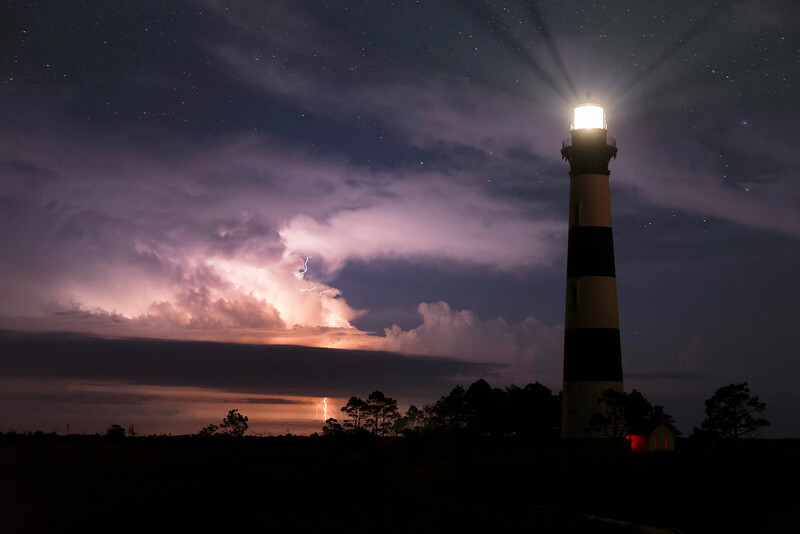 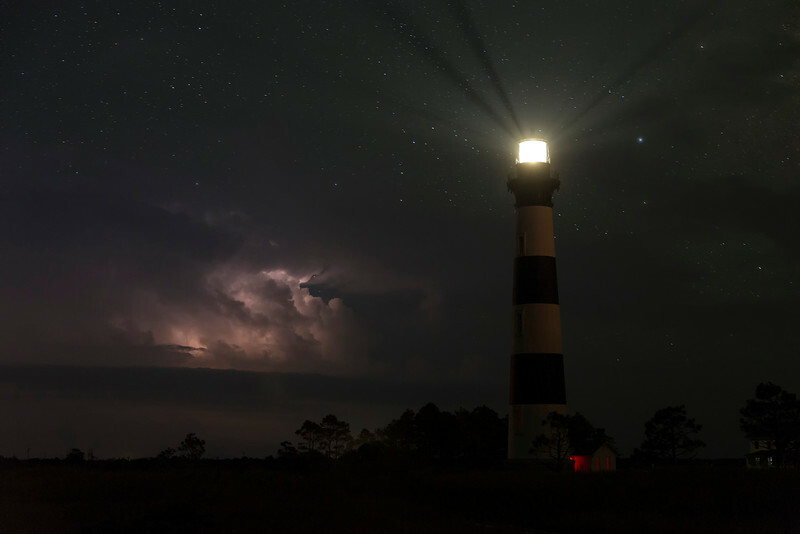 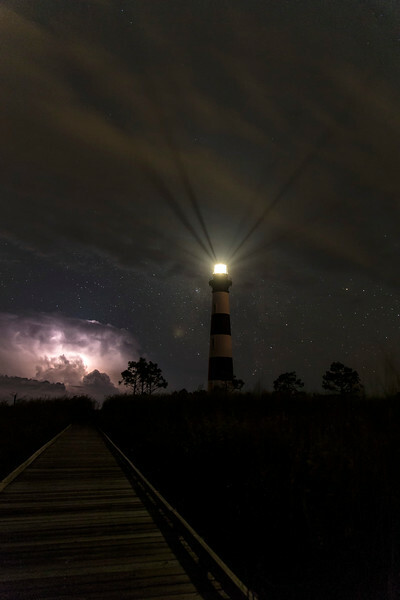 Bodie Lighthouse off the coast of North Carolina, under the night stars with a passing lightning storm.